Across the street from Christ Church, Spitalfields, and Fournier Street, which I visited earlier this week, Old Spitalfields Market is one of the great covered markets in London. There has been a market on this site for over 350 years since King Charles I gave a licence for flesh, fowl and roots to be sold on Spittle Fields in 1638. At the time, this was a rural area on the eastern outskirts of London. The rights to a market seem to have lapsed during the Cromwellian era, but the market was refounded in 1682 by King Charles II in order to feed the burgeoning population of a new suburb. The market buildings were erected on the rectangular patch of open ground that retained the name of Spittle Fields or Spitalfields. Its boundaries were marked out by Crispin Street to the west, Lamb Street to the north, Red Lion Street, which later became part of Commercial Street, to the east and Paternoster Row, later known as Brushfield Street, to the south. 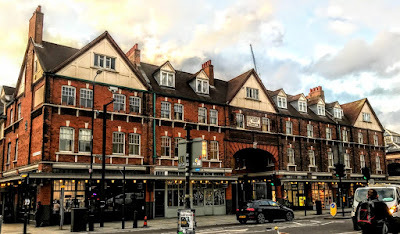 The existing buildings were built in the 1880s to service a wholesale market, owned by the City of London Corporation. The eastern end of Spitalfields has retained its old charm in Horner Square and Horner Buildings, which are Grade II listed buildings. 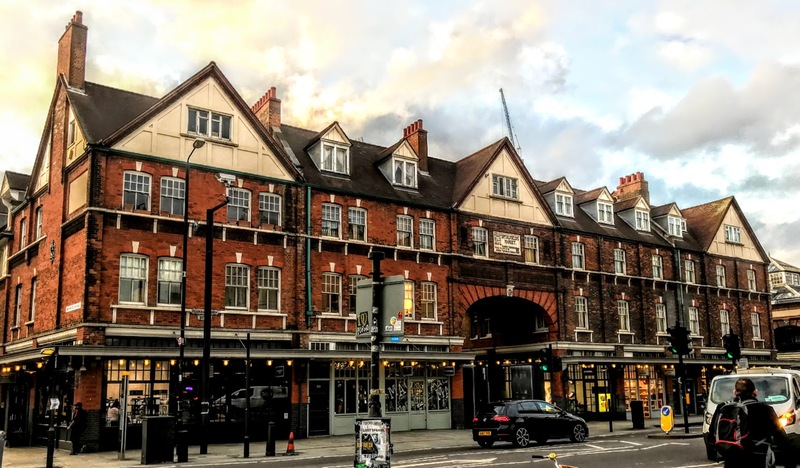 These market buildings were designed by George Sherrin for the last private owner of the fruit and vegetable market, Robert Horner, and built in 1885-1893. Spitalfields Market was extended westward to Steward Street in 1926, destroying the northern extensions of Crispin Street and Gun Street in the process. The wholesale fruit and vegetable market moved to New Spitalfields Market in Leyton in 1991, and the original site became known as Spitalfields Market. At the end of the 20th century, there was a dispute between the owners, the City of London Corporation and local residents about the redevelopment of the 1926 market extension at the western end. The Corporation won, and now a Norman Foster-designed office block surrounds the western side of the site, after two-thirds of the historic market were rebuilt. The original Victorian buildings and the market hall and roof have been restored and Spitalfields is now one of the major markets in London. The market square is a popular fashion, arts and crafts, food and general market, open seven days a week, and it is particularly busy at weekends. During an afternoon visit to Spitalfields earlier this week, on the very day we had remembered Charles I, not as the benefactor of Spitalifields Market but as king and martyr, two of us strolled through the market, by the stalls, restaurants and shops and through the large indoor arts and crafts market, called the Traders’ Market. Spitalfields also hosts a street food market, the Startisans Market, on Fridays, a style market on Saturdays, and occasional art markets at weekends.